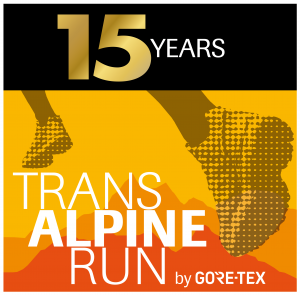 The TRANSALPINE RUN 2019 traverses the Alps in time-tested manner by way of four countries via exhilarating trails over eight days. All-in-all, the TAR 2019 packs a distance of 275 km and 16,416 m of positive vertical (vs. 14,674 m of cumulative descent) into eight exciting race days. The first stage of the TRANSALPINE RUN 2019 starts in Oberstdorf. After passing the first refreshment station at Warmatsgund, the runners make their way along alpine trails up to the Rossgundscharte ridge (2005m).They then continue below the peak of the Schafalpkopf mountain to the Mindelheimer Hütte hut, at 2013 metres above sea level, the highest point of today. Runners make their way to the Schrofenpass and continue via wide meadows runners make their way down to Hochkrummbach (1613m) at the Hochtannbergpass where the next food station is waiting. Athletes pass the Körbersee, cross the Auenfeld towards Oberlech am Arlberg (1660m) before the last downhill leads to the first finish line in Lech (1472m). Day two sees the runners head from the village of Lech up onto the Rüfikopf mountain (2339m), where the first refreshment station of the day awaits. The route continues passed the Monazabon lake down to Zürs (1717m) and to the Flexenpass (1773m) where the second food station is situated. Across the Hölltobel and the Flexenmulde runners will reach the Alpe Rauz (1648m). This is followed by a very steep ascent along the Valfagehr river up to the third food stop at the Ulmer Hütte (2279m). Runners reach the second finish line after the last downhill through the Steißbachtal in St. Anton (1284m). From St. Anton (1282m) the runners leave the Inn river behind them and head up into the Putzenwald forest and on to the highest point of the day at 2051m. The route continues via the Walcherhöhe (1940m), skirting the peaks of the Schindlekopf and Malatschkopf mountains, into the Nessleralm ski resort. Following a descent to the first refreshment station in Pettneu (1187m), the athletes follow the path of the Rosanna river to Schnann, below the Blankaspitze runners continue to Flirsch (1217m) before a final climb of around 600 vertical metres leads to the Strenger Skihütte hut (1850m) where the second refreshment station awaits. From here the route continues via the Grinner Skihütte to Piano (856m) where the last food station is situated before reaching the finish line for stage three in the town of Landeck (809m). After an early start in Landeck (809m), the first section of stage four takes runners via Hochgallmigg (1218m) and the Landecker Skihütte hut (1766m) to the Fisser Joch ridge (2432m) with the first refreshment station. From there they head to the Kölner Hütte hut (1965m) and via the Böderweg trail along the Böderbach stream to the next ridge, the Arezzjoch (2587m), where they find the second refreshment station. The highest point of the day, the Ochsenscharte (2787m), is followed by a downhill section to the Stierhütte hut (2290m) on the Swiss border (1725m) and the third refreshment station. The final section is relatively flat all the way to the finish in Samnaun (1841m). After the start in Samnaun (1814m) runners continue out of the valley to Ravaisch (1802m). From here the course ascends continuous via steep meadows, through rocky terrain up to the Fuorcla (2304m) and across the Salaaser high plateau to the mountain restaurant Salaas (2454m). After one last sprint runners reach todays finish up on Alp Trida (2500m). From Samnaun (1841m) the runners trace the path of the Schergenbach river up to the Zeblasjoch mountain (2539m), where the first refreshment station of the day awaits. After passing the highest point of stage five, the Fuorcla Val Gronda (2752m), the route leads on to the Fimberpass (2608m) and then down to Farola (1862m) and the second refreshment station. 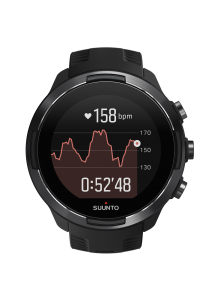 The final climb sees the athletes run all the way up to Fuorcla Champatsch (2730m), before traversing the Motta Naluns ski resort at 2442m (third refreshment station) and descending to the finish in Scuol (1194m). Day seven starts in Scuol (1195m) in the Unterengadin region of Switzerland and first heads along the Inn river down to Sur En (1133m). It is here that the first uphill section of the day awaits, passing through the picturesque Uinaschlucht canyon and on to the first refreshment station at Uina Dadaint (1763m). Runners then cross over into Italy at the Schlinigpass (2261m) and pass the Sesvennahütte hut on their way to the Höferalp, where they turn off to Schlining (1738m). It is here that they will catch sight of the mighty Ortler for the first time. This iconic mountain over 3000 metres will accompany the athletes in the coming days. The next section leaves the Schliniger Tal valley and takes participants to Laatsch (983m), along the Etsch river as far as Glurns (913m) and Soles (898m). All that then remains is the final push along beautiful singletrack trails up to the Schloss Lichtenberg castle and then down to Prad (907m). Prad am Stilfserjoch marks the start of another huge alpine stage and the last stage of this years TAR. After passing the Herz Jesu Kapelle chapel, runners take in Patzleid (1075m) and progress along a beautiful trail with panoramic views as far as Stilfs (1314m) and the first refreshment station of the day. They then head into the Paltzbachtal valley and through beautiful larchwood forests and open meadows up to the Prader Alm (2058m). Next up is the descent below the chairlift to Trafoi (1521m). After stocking up on energy at the second refreshment station, it is time to head into the Trafoier Tal valley and then up to the Berglhütte hut (2185m). The trail continues to rise and takes runners into alpine terrain, skirting the ice masses of the Ortler glacier, through the Tabarettatal to the Tabarettascharte ridge (2886m). The final section takes the athletes to the Tabarettahütte hut (2556m) and then on to the final finish in Sulden (1847m). Course information subject to change and to official permits! No responsibility is taken for the correctness of this information. The data has been taken from high class GPS receivers and processed by proper software. Inaccuracy due to enviromental or systemic reasons may occur!